There is a forty-eight cent shortage at the bank, so Lucy puts in her own money to make up the difference so the books come out even. When the real money is found, Mr. Cheever blames Mooney and Mr. Mooney is fired for trying to cover up the mistake. Lucy becomes Mr. Cheever's secretary and feels bad that she is responsible for Mooney getting fired. 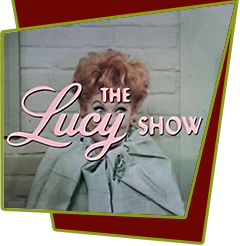 To get his job back, Lucy gives Mr. Cheever the "Gaslight" treatment and makes him think he is going crazy with guilt for firing Mooney.